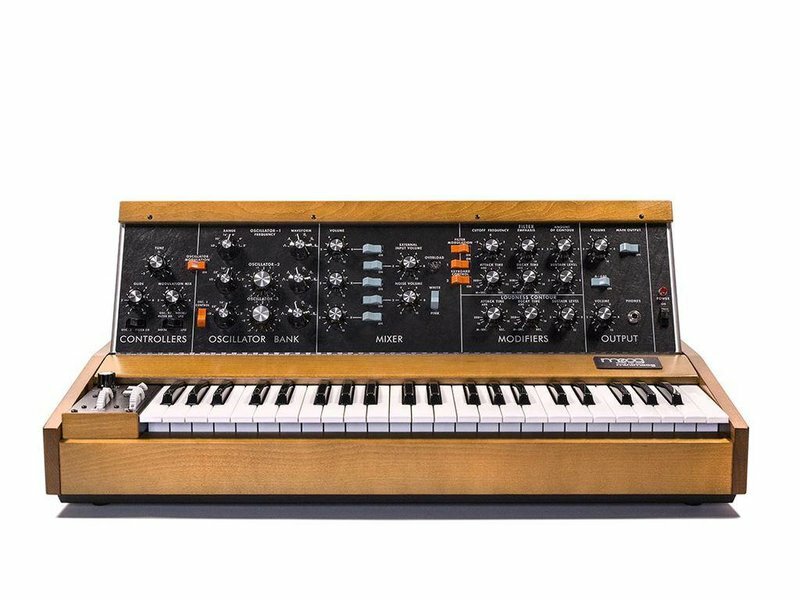 For the first time since 1981, Moog Music has officially resumed production of the Minimoog Model D. The Minimoog Model D was the world's first portable synthesizer and served as the archetype for all electronic keyboards that followed. First released in the early 1970's, the instrument gained worldwide acclaim for combining the colossal sound of Moog's large-format modular synthesizers with the accessibility of pre-wired modules. 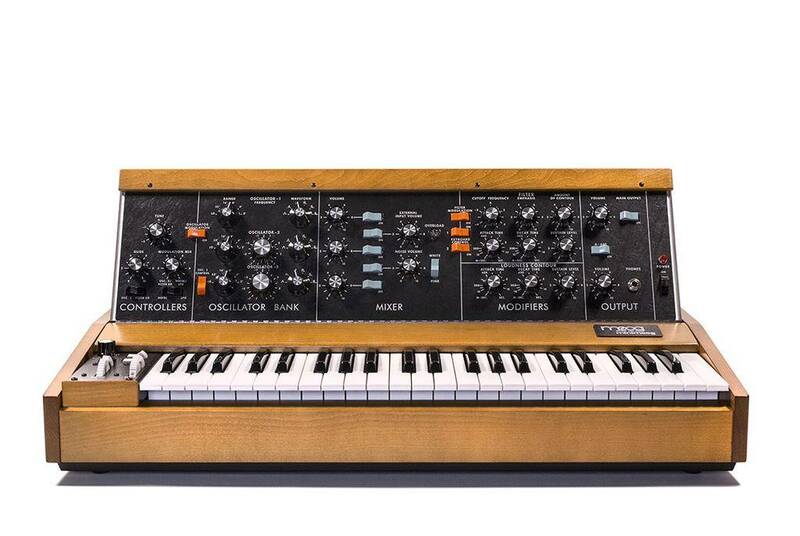 Over the last 40 years, some of the world's most influential artists like Trent Reznor, Gary Numan, Dr. Dre, Keith Emerson and Herbie Hancock have shaped their unique sounds and forged new musical genres using the Minimoog Model D. This valuable sonic tool is now made available to veteran synthesists and the next generation of electronic pioneers. 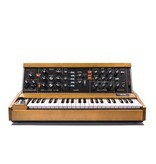 ,Each newly built Minimoog Model D is lovingly handcrafted by the employee-owners at the Moog Factory in Asheville, NC. This 3-oscillator, monophonic, analog synthesizer is securely housed in a locally-sourced Appalachian hard-wood enclosure and hand-finished aluminum chassis. The circuit boards retain the exact component placement and through-hole design of a beloved 1970's era Minimoog Model D.
Though no changes have been made to the original sound engine or audio signal path, the Minimoog Model D now includes a series of popular functional modifications that expand this legendary instrument's sonic capabilities. These modifications include a premium Fatar keybed with velocity and after pressure available via top panel CV jacks, a dedicated analog LFO with triangle and square waveshapes, CV outputs for pitch, gate, velocity and after pressure, basic MIDI integration, and a mixer overload modification, which when engaged, allows the Minimoog Model D to conjure thicker and far more overdriven sounds than before. ,NOTE: Due to the complexity of the build process coupled with the demand for other Moog instruments, Moog is only able to produce a small number of Minimoog Model D units per month.